Recently I mentioned a new stainless-steel electric kettle I bought. 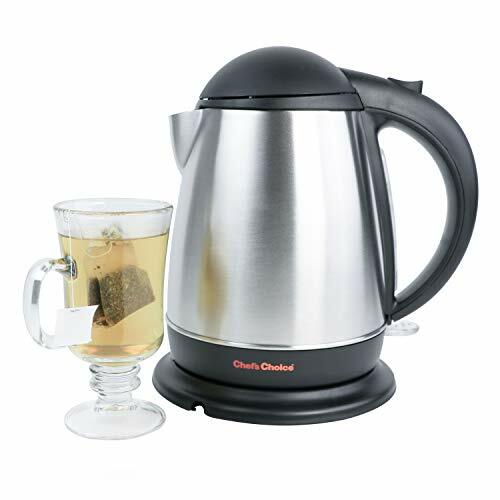 I think electric kettles are great—a wonderful convenience for green-tea drinkers at home or at the office. But what I noticed about this kettle is that if I boiled water with the lid off, the kettle wouldn't automatically shut off after the water reached a boil. Instead, the water would continue its rolling boil until I tuned off the kettle manually. Wondering why, I did a little research on the Web and found out that in some electric kettles (like my current one), the auto shutoff sensor is positioned at the top of the kettle so that it detects the heat that builds up under the lid when steam from the boiling water collects there. With the lid removed, the steam escapes and the temperature near the sensor doesn't get hot enough to trigger the auto shutoff feature. This is something to keep in mind when using an electric kettle.